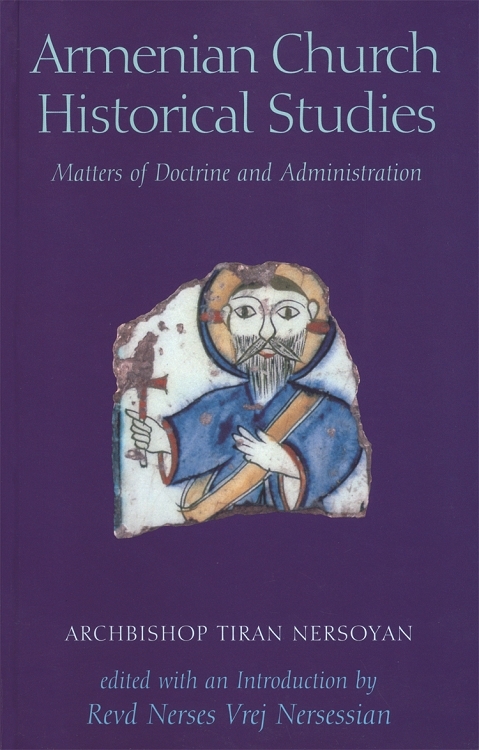 Armenian Church Historical Studies: Matters of Doctrine and Administration is a volume composed of the writings of the late Archbishop Tiran Nersoyan. It is divided into parts delving into church history from the early church to the modern day; Christology and the position of the Armenian Church; Canon law regarding lay people as well as priests; and liturgy in its many forms. The book concludes with a detailed biography and bibliography of Archbishop Tiran Nersoyan with select translations of his many works.